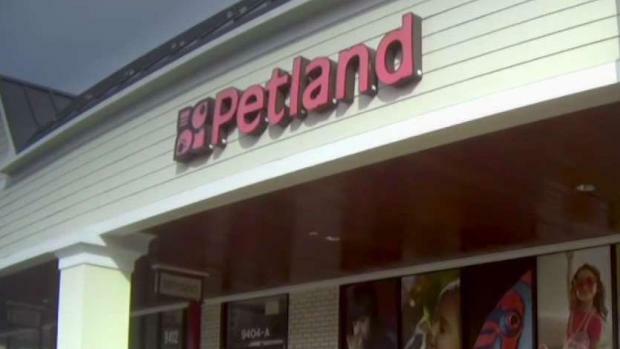 Petland ended its franchise agreement with a Virginia store accused of animal abuse. 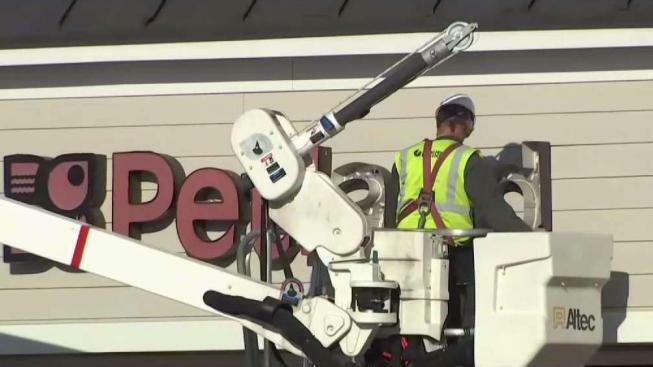 Crews removed the sign from the Fairfax location Wednesday evening. Police seized documents and bodies of dead animals from the store Monday after an undercover investigation by the Humane Society of the United States revealed the bodies of 14 dead rabbits in the store’s freezer. “What we found is in the freezer we found 31 rabbits and one dog that was in the freezer,” City of Fairfax Police Lt. Ronnie Lewis said. A pet store in Fairfax, Virginia, is accused of animal abuse. News4's Justin Finch reports. Police say storing dead animals in a freezer until they can be properly disposed of follows protocols. They are investigating to see if any laws were broken and waiting for test results to see what caused the animals’ deaths. The Humane Society said its concern is that no one contacted a veterinarian to go to the store and find out what the problem was. Petland released a statement from its corporate offices saying it is shocked by the allegations and is launching its own investigation. “This information is appalling and in no way reflects the values, policies and procedures demanded of Petland stores,” the statement said. Petland said it will relocated the animals in the store. The Fairfax store is owned and operated by a local family, Petland said. News4 tried to get a comment at the store but was told no one was available. Over a period of months, the Humane Society investigated the Petland at 9404 Main St. Suite A, using hidden cameras to document possible animal abuse. Their findings included a freezer full of more than a dozen dead rabbits, which Petland staff claimed got sick and they “just let ... die,” according to a Humane Society press release. The dead rabbits had accumulated over a period of two months. The Humane Society said it uncovered it is a regular practice of the Petland staff to not administer veterinary care to sick or dying rabbits. The Humane Society also traced the main supplier of the Fairfax Petland location’s rabbits to Wagner’s Farm in Centreville, Maryland. The farm’s owner told the Humane Society they sell about 60 rabbits per month to the Fairfax Petland location. This would require the farm to obtain a USDA license, which Humane Society could not find any record of the farm holding. Petland is the largest chain of U.S. pet stores that still sells puppies and rabbits, according to HSUS. “Petland’s decision to end their franchise agreement with the Fairfax Petland store in light of our investigation is a step in the right direction, but it is undeniable that Petland must do more to ensure animals are getting quality veterinary care and are not raised in conditions which fail to meet their basic needs. With police stating they found more than 30 dead rabbits and a puppy in the freezer at Petland Fairfax during the execution of their search warrant on Monday, it is clear that the horrifying practices we exposed in our investigation were not isolated incidents.